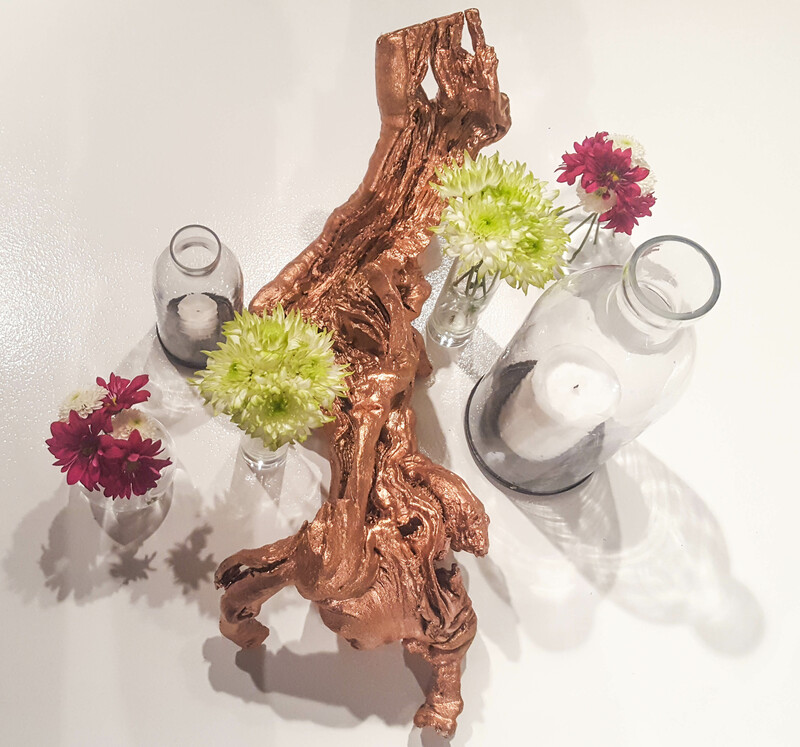 Complete your Rustic look with our Copper Driftwood centerpieces. Our custom rose gold painted driftwood is paired with a variety of milk glasses and LED candles. 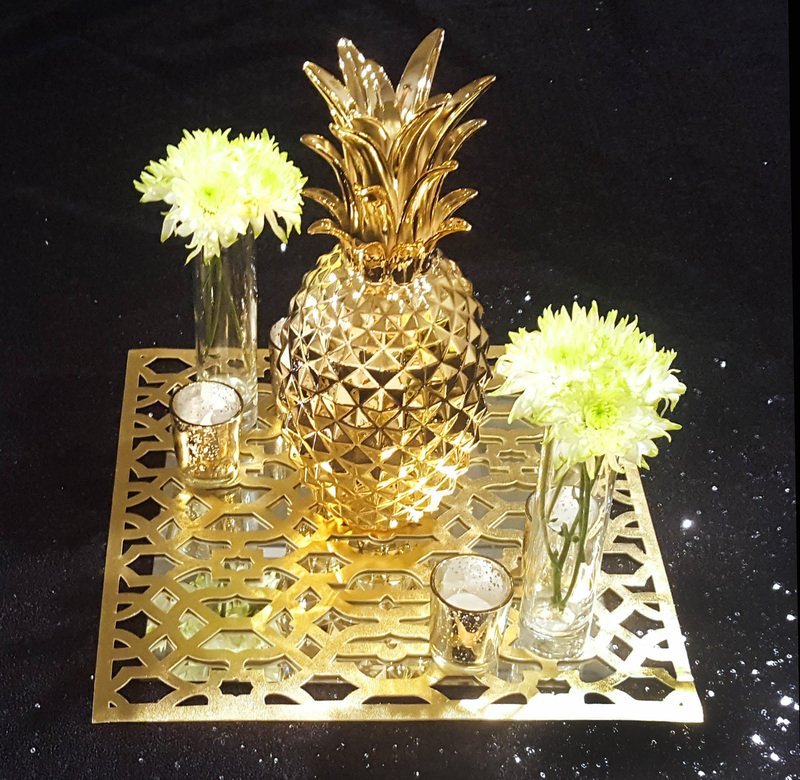 Add a touch of tropical glam to your Event with our Golden Pineapple centerpieces. This stunning piece, paired with our mirror tile & gold cut out overlay, shot glass vases and gold votives with LED lights, is sure to make a statement. 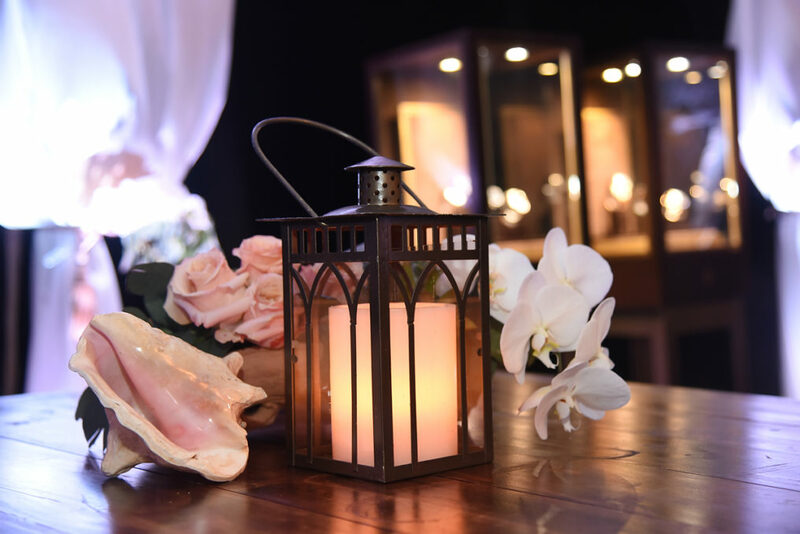 Throw it back to a more traditional Hawaiian-style feel with our Lauhala & Conch Shell centerpieces. 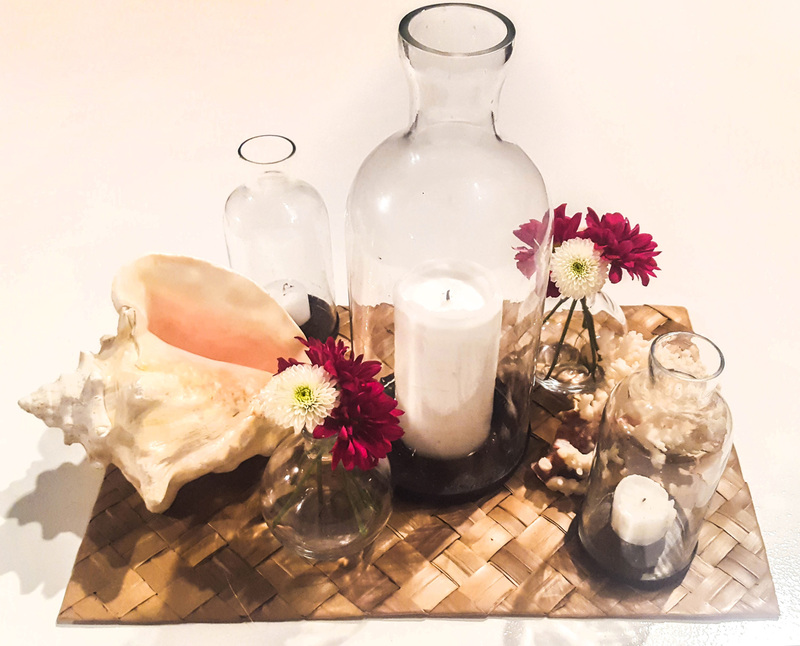 Our milk glass vases, paired with a large conch shell and coral piece placed on a simple lauhala mat, will provide some local flavor to your Event. Bring your tablescapes to life with our Moroccan Floral centerpieces. 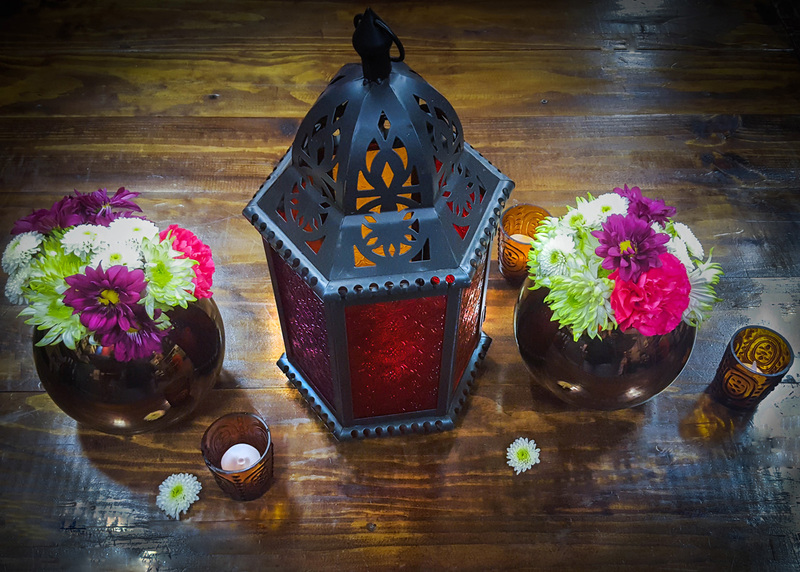 Our intricately detailed Moroccan Lantern, bronze vases and dark orange votives will lend an exotic feel to your Event. Whether on land or at sea, our Sandy Beach centerpieces will bring a laid-back and relaxing look and feel to your Event. 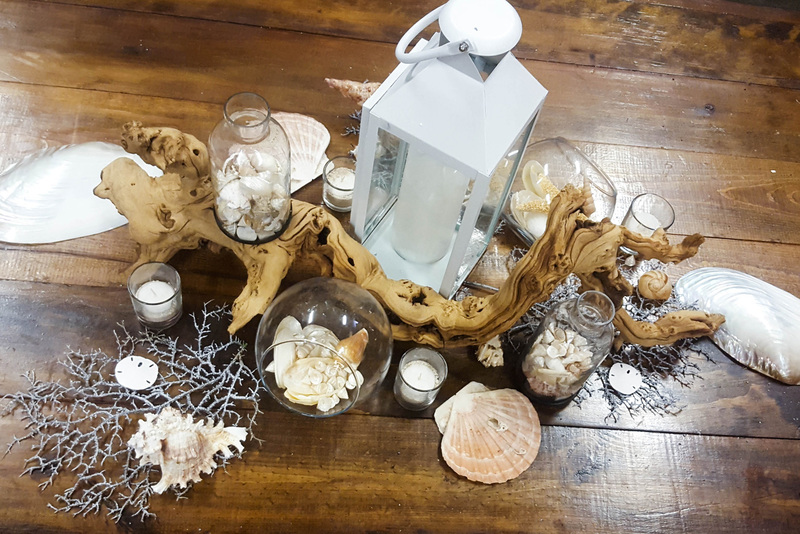 Our white lantern and driftwood are complemented by our milk glass vase, votive candles and round sideway vases filled with an assortment of shells. Contact us today to find out how you can take advantage of this limited time offer!